Tennis ball cricket also known as ‘tapball cricket’, is played mostly in countries like India, Bangladesh, Pakistan and Sri Lanka. But mainly it is played in India .Nobody can deny the fact that day by day the number of people playing tennis cricket as well as those regularly following tennis cricket is increasing. 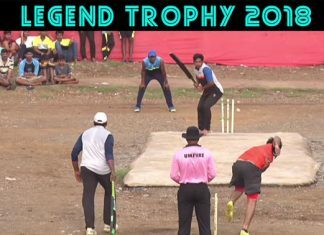 In India, almost in every state tennis cricket is very popular. In states like Maharashtra, Karnataka, Uttar Pradesh , Gujarat, Kolkatta, Bangalore tennis cricket is played. There are many unanswered questions but there is no authentic source from which this entire information can been collected. Not only the information about the matches but also the top teams and top players will be displayed on the website .